Happy New Year dear readers! I'm hoping all of you had a fabulous end to 2010 and I'm wishing you all happiness, love, good health, and prosperity (and fabulous fashion of course) in 2011. This holiday break, I was fortunate to see several fantastic films with family. I just wanted to give a shout out to some of them, in case you're looking for some visual fodder. 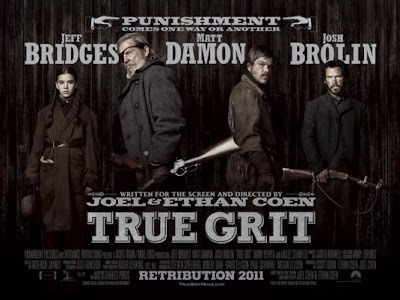 In the theaters we saw True Grit by the Coen brothers. It was hilarious - the writing and acting were done amazingly well. Hailee Steinfeld was phenomenal. We also streamed the September Issue on Netflix. I had never heard of it, but Evan flagged it as something that might interest me (although even he and his brother were quite fascinated by the documentary). 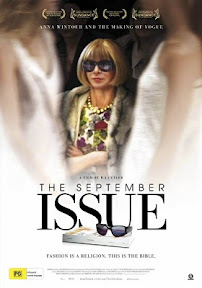 It followed Anna Wintour and the Vogue staff through the production of Vogue's September Issue. By the way, I think it's so interesting that the Vogue offices look like normal cubicle office space, but just happen to be filled with fabulously dressed people. It was crazy interesting to get a peek at what Anna is like - or really not like. It was amazing how stoic she was. It was really hard to read what she was thinking. Only at the end when she was answering questions about her family did it feel like you were getting to know a bit more about the lady behind the glasses. 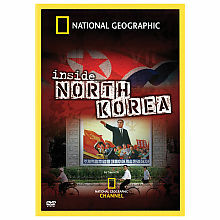 We also streamed this National Geographic documentary on Inside North Korea. The documentarian had to lie about who she was and what she was doing to get in. Very interesting view of the country people we know so little about. Other notable vidz included It's Complicated (was surprisingly LOL funny) and Joan Rivers a Piece of Work. I admit I knew nothing of Joan Rivers beyond her plastic surgery escapades, but this documentary helped me appreciate what she did/does to open doors for women comedians and I wholly admire her work ethic. Lori, don't you just love Anon comments that are rude and mean, but yet they can't have the decency to leave their name? What a cowardly little prick. I love all your pics! ESPECIALLY the ones where you're being silly! I also watched the North Korean documentary not too long ago. It was one of those days I called in sick last week. I was amazed at how people still lived there. The propaganda pictures of their leaders reminded me of the ones drawn of Mao back in China in the 50's and 60's. Really amazing. Hey Lori! omg, how uncanny, i received an anon comment on my blog too just today! it was about me being ignorant and fake etc. wonder if it's the same person. what a coward! Anyway, happy new year! Your jaw-dropping is what makes you unique from everyone else - don't stop being cute. I thought the "2011" thing you guys did with your fingers is really cool. Nice sunnies btw - i broke my F21 sunnies :-( so sad - it was the only $5 pair i had! I have watched The September Issue twice in the past few months (it's fabulous!) and agree with you on your little analysis. I actually was able to go to Elle Magazine, and it was incredibly strange for me when I saw how unglamorous the office space was! Even the "closet" wasn't much anything special! Upon meeting the assistant at the secretary's desk, he first warned me that the offices weren't Ugly Betty or Devil Wears Prada-esque. It's true, but really strange considering these magazines are in an industry all about image! Happy New Year, Lori! I'll have to check out The September Issue -- and I'll be sure to note that their cubicles probably look just like mine. Love your F21 bracelets -- so pretty and funky! And PS -- I love all your pictures as well! Oh, your holidays look lovely. I've been trying to catch up on your posts (I hope Budz is okay!). I'm really liking that GAP blouse. I watched the September Issue on the plane awhile back and was similarly entranced. Have now added the Joan Rivers video to my queue!